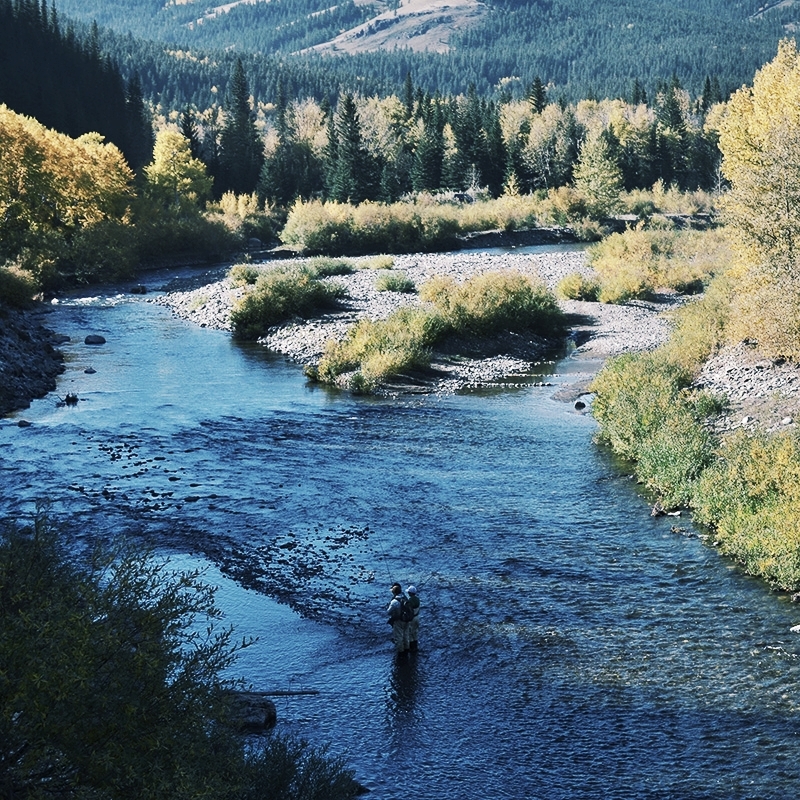 We rely on the headwaters of the Rocky Mountains for 90% of Alberta's drinking water. Fed by rain, snow, and glacier ice, these landscapes absorb, clean, and release our water into streams and river systems — eventually reaching our homes in communities across the province. Our mountains provide this vital service for free, but Alberta has protected less than half of its headwater landscapes. We can do better. 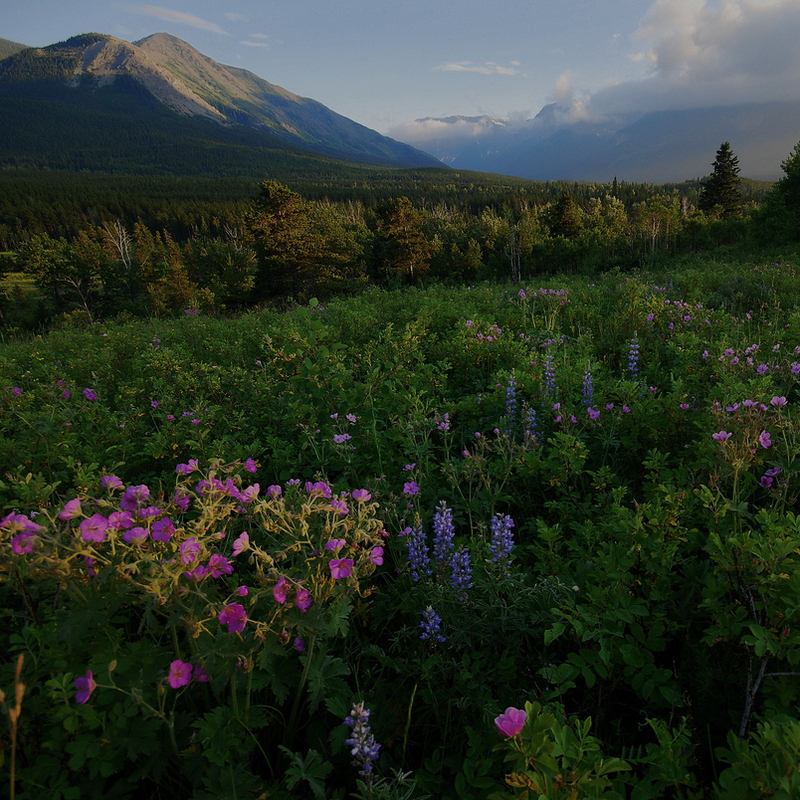 The goal of Love Your Headwaters is to protect Alberta’s headwaters and the landscapes that provide them. 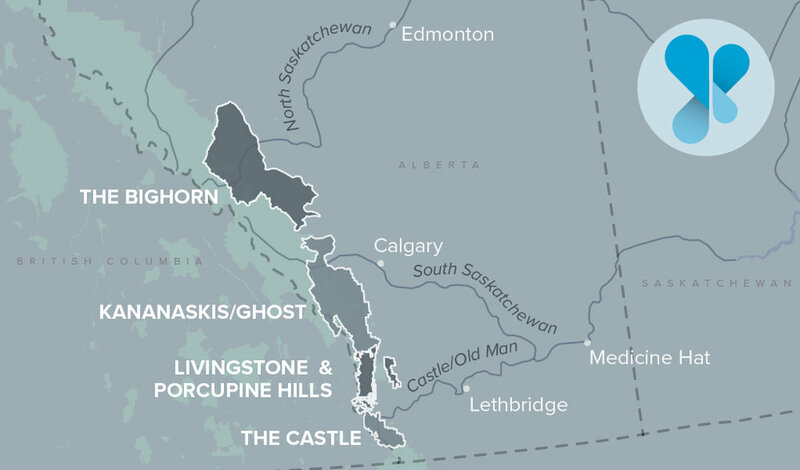 Learn about our work through our current project regions: The Castle, The Bighorn, Livingstone-Porcupine Hills and Kananaskis/Ghost, or read on to explore the importance of headwaters. 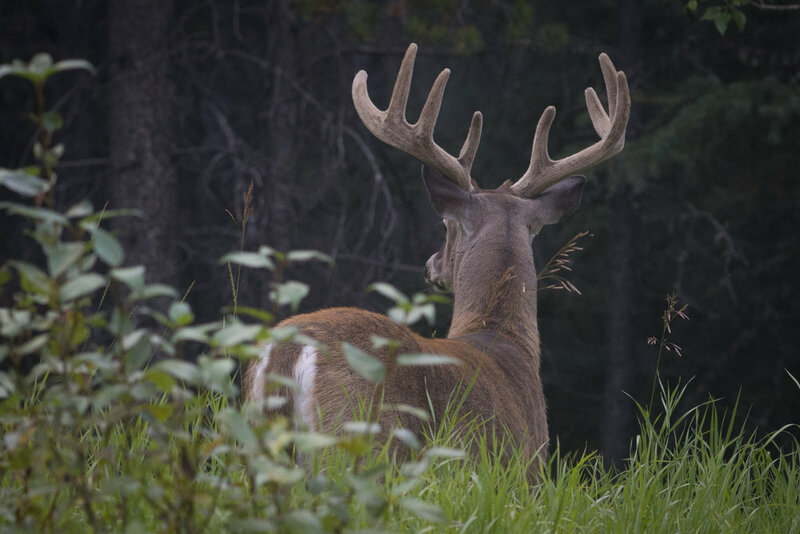 Ready to lend your voice to Alberta's headwaters? Speak Up. Alberta’s headwaters are found in the mountains and foothills that line the province’s western border. This area is known as the Eastern Slopes. 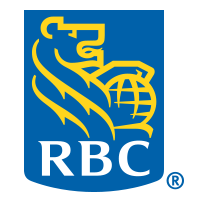 Our current efforts are focused on the the Bighorn region, where most of the North Saskatchewan River originates, Kananaskis Country and the Ghost Watershed, which holds the unprotected portion of the Bow River’s headwaters; Livingstone-Porcupine Hills, an area that feeds the Old Man River; and the Castle region, which houses the headwaters of the South Saskatchewan River. 90% of drinking water for Albertans comes from our Eastern Slopes. We have a responsibility to protect this treasured resource. This map shows our four major project areas, and their primary river connections to major cities. When the Eastern Slopes ecosystems are healthy, the landscape works like a sponge: holding, filtering, and carrying water. Activities like logging, off-highway vehicle use, and mining threaten the provision of clean drinking water to Albertans. These major disruptions are happening in all of our project areas. Use the menu to explore what is at stake in these vital places, and sign up to learn what you can do to help. To help our work in the Castle, Bighorn, Livingstone-Porcupine Hills or Kananaskis, please jump to those pages to learn how you can support those campaigns and speak up for water. Keep up to date on the latest with Love Your Headwaters and learn how you can get involved by signing up below. We'll be in touch!